This is my chicken coop. I built it all by myself except for the roof. I used old barn wood that I had brought home a couple years ago and old storm windows that someone had set out for trash pickup. With the storm windows, I also picked up all of the wood that I needed for framing. I bought about 100 pieces of old, used barn roofing tin at an auction for less than what one piece of new roof metal costs. Someone gave me some old, German built nest boxes and even though there are more nexts than I need, I wouldn't dare cut into them. They are hinged at the top and have no back. They set flush against the wall and when you need to clean them, you grab the bottom and pull it up and out and prop it up. Then all of the old shavings fall out the back. I bought a remanent of vinyl flooring that should have been about $300. for $7.00 because it was not priced correctly. The only other thing I bought was some floor joists and the plywood flooring. The building measures 8' x 12'. 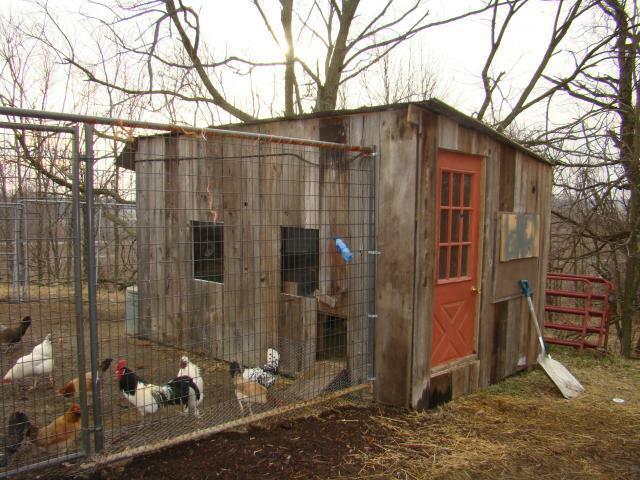 The chickens enter through a pop door on the front. The far end from the door is the roosting area with a droppings pit for easier cleaning. There is a 3' x 3' screen window on each end for ventilation. It gets covered to keep them warmer in the winter, as you can see from the pictures. 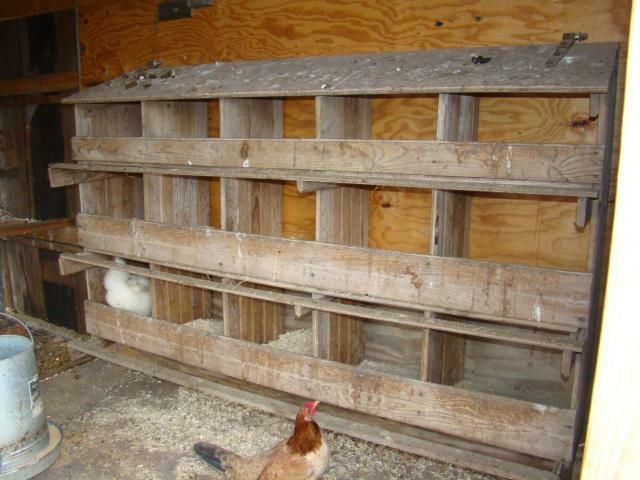 Most of my chickens sleep on the roosts but I do have a few that sleep on the nesting boxes. The only thing I would change is that my entry door (also picked up from the storm window and lumber trash pile) swings in. 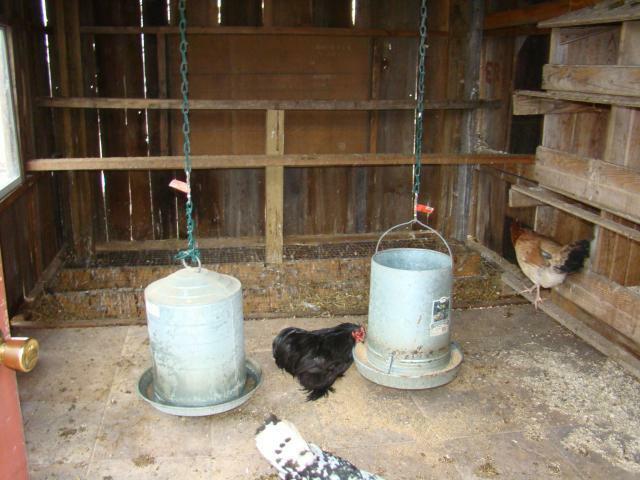 I would like to make it swing out so I can use the deep litter method to make things a little easier to keep clean. "Good use of recycled materials"
dang you're lucky haha. sounds like you got off on the cheap side. nice and simple... love it! !